Clark’s Lock and Safe is locally owned and operated. 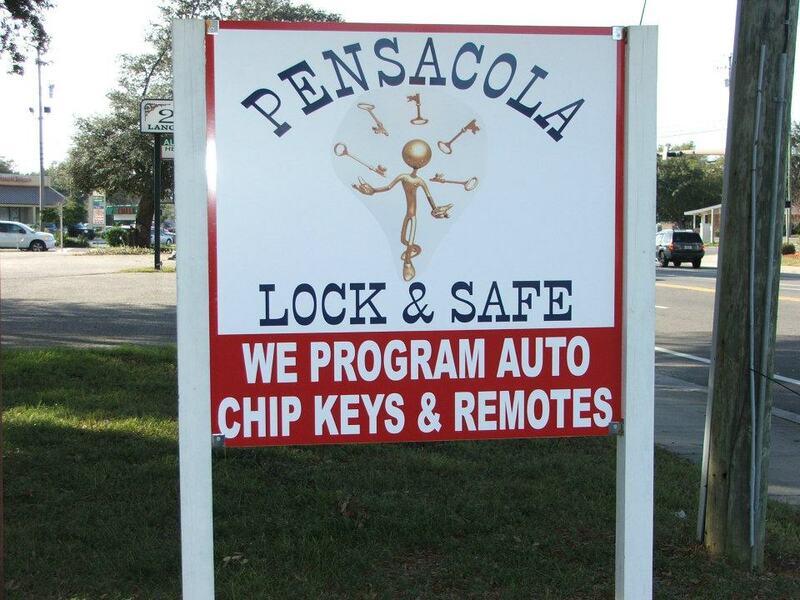 We have been serving Pensacola and the surrounding areas since 1982. We have a trained team of knowledgeable technicians that are here to meet any and all of our customers needs 365 days a year. Clark’s Lock and Safe is a member of the Associated Locksmith of America. We are one of the only companies in the panhandle that actually has a Certified Locksmith and GSA Inspector on staff at all times. We offer a wide selection of residential, commercial and automotive products and services. We also believe in giving back to our communities. Our team belongs and contributes to such local organizations as the Pensacola Area Chamber of Commerce, The Rotary, etc. We also support and sponsor a team for The American Cancer Society’s Relay for Life. Who wants to carry all those keys around? We can re-key your locks so you have only 1 key. If you just bought or rented a house/apt., it would be a good idea to re key your locks to make sure no one else has a key. Keyless entry locks that have web site access to see if your kids made it home or just to check and make sure the door is locked. We sell fire rated safes, burglary rated safes, TL15- TL30 Jewelers Safes,in the floor safes, on the floor safes, wall safes, gun safes data safes record safes.